The NLS-EM3095 embedded 2D barcode scan engine, armedwith the Newland patented , a computerized image recognition system, brings abouta new era of 2D barcode scan engines. The EM3095’s 2D barcode decoder chip ingeniously blends technology and advanced chip design &manufacturing, which significantly simplifies application design and deliverssuperior performance and solid reliability with low power consumption. The EM3095 supports all mainstream 1D as well as PDF417, QRCode (QR1, QR2, Micro QR), Data Matrix and GS1-DataBarTM(RSS)(RSS-Limited, RSS-14, RSS-14 Stacked and RSS-Expand). The EM3095 can read barcodes on virtually any medium - paper,plastic card, mobile phones and LCD displays. It provides an ideal solution forboth emerging mobile phone-based barcode applications, like coupons, e-ticketsand boarding passes, and traditional applications. This compact engine weighs only 4.4 grams and fitseasily into even the most space-constrained equipments such as data collectors,meter readers, ticket validators and PDAs. Moreover, the instant power on/offfeature along with ultra low power consumption brings greater efficiency andconvenience in barcode scanning. The engine armed with the state-of-the-art 2D barcode decoderchip invented by Newland demonstrates unprecedented reading performance. 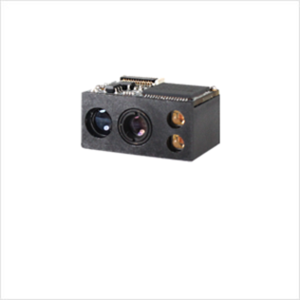 Seamless integration of CMOS image sensor and decoderboard makes the engine small, lightweight and easyfor integration. The engine can read most 1D and 2D barcodes with a powerconsumption only one fourth that of a traditional engine. It can read barcodes onvirtually any medium - paper, plastic cards, mobile phones and LCD displays. Code 128, EAN-13, EAN-8, Code 39, UPC-A, UPC-E, Codabar, Interleaved 2 of 5, ISBN/ISSN, Code 93, UCC/EAN-128, GS1 Databar, etc. Software development board for the EM3095, equipped with a trigger button, beeper and RS-232 & USB interfaces.